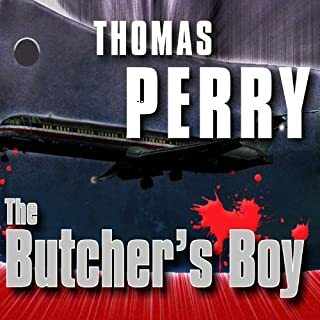 When Phil Kramer is shot dead on a deserted suburban street in the middle of the night, his wife, Emily, is left with an emptied bank account and a lot of questions. How could Phil leave her penniless? What was he going to do with the money? And, most of all, who was he if he wasn't the man she thought she married? Jerry Hobart has some questions of his own. It's none of his business why he was hired to kill Phil Kramer. But now that he's been ordered to take out Kramer's widow, he figures there's a bigger secret at work - and maybe a bigger payoff. 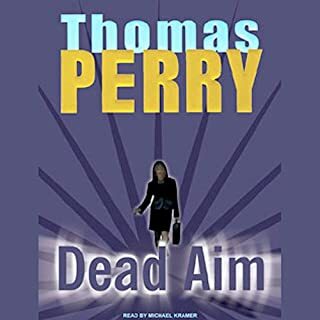 Thomas Perry is, quite simply, brilliant. 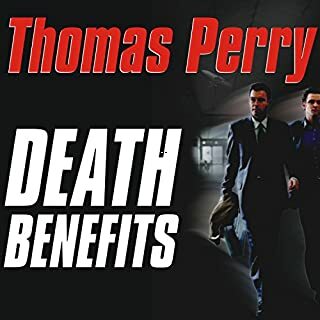 A careful, methodical young data analyst for a California insurance company, John Walker knows when people will marry, at what age they will most likely have children, and when they will die. All signs point to a long successful career---until Max Stillman, a gruff security consultant, appears without warning at the office. It seems a colleague with whom Walker once had an affair has disappeared after paying a very large death benefit to an impostor. My favorite book from one of my favorite authors. Robert Mallon has lived for ten quiet years in affluent Santa Barbara, when an encounter on a beach with a mysterious young woman shatters his peaceful, carefully constructed life. Despite Mallon's desperate attempts, he loses her and becomes obsessed with discovering why. He hires detective Lydia Marks to uncover the secrets of this stranger's life, and what they learn propels them into a terrifying world of sinister secrets and deadly hatreds. Sid and Ronnie Abel are a first-rate husband-and-wife detective team, both retirees of the LAPD. Ed and Nicole Hoyt are married assassins for hire living in the San Fernando Valley. Except for deadly aim with a handgun, the two couples have little in common - until they are both hired to do damage control on the same murder case. The previous spring, after days of torrential rain, a body was recovered from one of the city's overwhelmed storm sewers. When the cousin of Los Angeles underworld figure Hugo Poole is found shot to death in his Portland, Oregon, home, police find nothing at the scene of the crime except several long strands of blonde hair hinting that a second victim may have been involved. Hotel security tapes from the victim's last vacation reveal an out-of-focus picture of a young blond woman entering and leaving his room. Could she also be a murder victim? 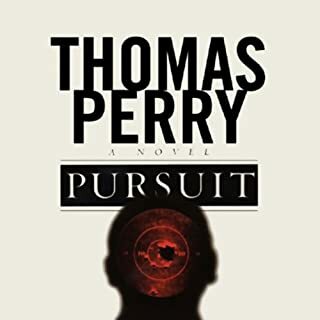 This riveting and entertaining thriller by Thomas Perry follows a husband-and-wife con team on the run from the Mob, a soldier of fortune between jobs, a two-bit operator with grandiose dreams of tribal dynasty, a sultry CIA operative with divided loyalties, the most dazzling defector ever to hurl a split-fingered fastball, and 20th-century buccaneers who wash up on a tiny island in the Caribbean and turn it into a multinational cash machine. But then the shooting starts. An aging but formidable strip-club owner, Claudiu "Manco" Kapak, has been robbed by a masked gunman as he placed his cash receipts in a bank's night-deposit box. Enraged, he sends his half-dozen security men out to find a suspect who is spending lots of cash and is new enough to Los Angeles not to know he was robbing a gangster. Powerfully plotted and funny, Big Fish follows dangerous and mysterious Los Angeles entrepreneur Altmeyer, and his wife Rachel, whose quiet lives in the Hollywood hills are disrupted when a multi-million-dollar gunrunning deal goes bad. Under most circumstances, Altmeyer might be mildly amused by the audacity of the double-cross. But whoever cheated Altmeyer may also be planning to destroy the world. With so much at stake, Altmeyer and Rachel and their friend, super-agent to the stars Bucky Carmichael, set off on a perilous adventure in search of the identity of the Big Fish. When Leroy "Chinese" Gordon breaks into a professor's lab at the University of Los Angeles, he's after some pharmaceutical cocaine, worth plenty of money. Instead, he finds the papers the professor has compiled for the CIA, which include a blueprint for throwing a large city into chaos. But how is the CIA to be persuaded to pay a suitable ransom, unless of course someone actually uses the plan to throw a large city into chaos - Los Angeles, for instance? Assigned to cope with the crisis and restore the peace, veteran agent Ben Porterfield steps onto the scene to remind us that the CIA's middle name is, after all, Intelligence. Enlivening the mix are Gordon's beautiful girlfriend, Margaret, his temperamental cat, Dr. Henry Metzger, and Metzger's friend, an enormous half-wild dog with huge teeth. Unusually Cool - CLASSIC. A Must Listen! This is different. And isn't that what mystery zealots want? This is a laugh out loud caper thing full up with bad people who you can't help loving. Yep, everyone's so flawed that you're left free to decide who you want to root for, hell, I think I finally rooted for almost everyone. Did I say "laugh out loud" … Uh-huh, Perry has the power to cloud your mind with giggles. And yet he manages it with throw-away lines while still cranking out a plot with twists that leave a veteran mystery reader satisfied. And we're a hard-to-satisfy bunch, right? Michael Kramer has the genius ability to become invisible as a reader-actor creating vivid characters that are about the plot, not him. This book must he a classic. If it isn't, I'm declaring it to be. Yep.. this is a classic caper that you'll smile all the way through. Oh, one tiny gripe, the very… very.. end was oddly dumb. I wonder why Perry appended those few paragraphs. Oh well, no matter… It's just a fine piece of writing overall. Messrs. Perry and Kramer should get six stars. Metzger's Dog is yet another triumph for Mr. Perry. 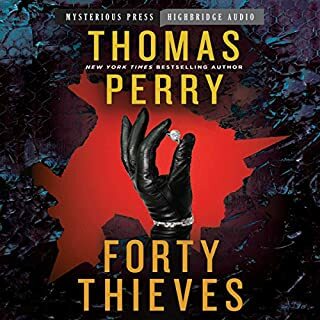 I only know two authors who can effectively weave suspense and humor together: Mr. Perry and Tim Hallinan. Both have carved out unique niches for themselves. 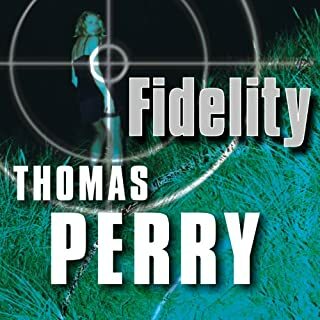 In this book Mr. Perry creates a whole raft of interesting new characters, he keeps us guessing and delighted throughout the book, and his humor is just sometimes LOL funny. At other times his humor can be rueful, sarcastic, warm, affectionate and anything else you can think of. All the guys like Nelson Demille, Tom Clancy and their peers approach the CIA in deadly earnest. I now would have a hard time going back to any of them. Mr. Perry creates a Keystone Kops aura around the CIA and makes vicious fun of the bureaucracy and the politics within. On the other side is a small group headed by Chinese Gordon and his soon-to-be-wife Margaret. Dr. Henry Metzger is Gordon's cat, and they adopt a gigantic and ludicrously ferocious dog during the caper. Mr. Perry could write a whole new series around these characters. His ingenuity and creativity are on show here, and one can only marvel at how far he pushes the envelope of this genre. The tricks they pull involving the crippling of Los Angeles and how they outwit the CIA over and over are such fun that I will listen to the book again in a year or so, just for the laughs. Mr. Kramer is perfect. He narrates with consistent skill and he deals with the humor with nuance. He is equally good at suspense and all forms of humor. Keep on truckin', gentlemen. We are listening. I like the way Perry writes. I am not so in tune with his feminine side (Jane Whatshername), but the Butcher's Boy books we among the best I've found in the genre. Metzger's Dog petered out just a tad near the end, but until then I was bathed in some of the funniest ironic humor (just shy of sarcasm) in memory. The black, fearsome pall of the dog-beast is priceless! More, Mr. Perry, More!!! The very funny author Carl Hiassen wrote the introduction to this book, which is appropriate. Except that Carl Hiassen is predictable -- his villains are always polluters or property developers -- and Thomas Perry never is. I've read enough of his novels to know that he never repeats himself. (At least the ones that don't feature Jane Whitefield; I haven't read those.) Perry's plots are always unique and ingenious. Audible now has many more of his books, and I look forward to every one. 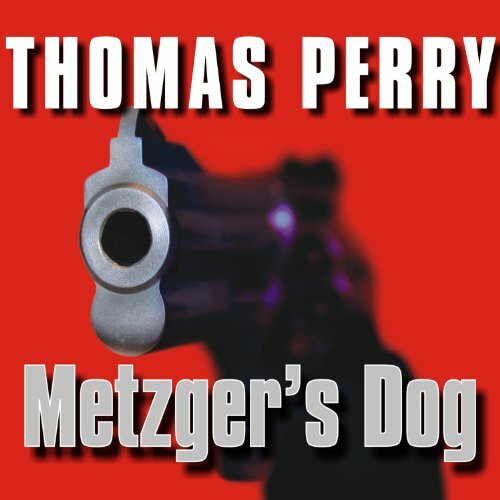 Would you listen to Metzger's Dog again? Why? Perry's use of humor and vivid imagery made this book a joy. What was one of the most memorable moments of Metzger's Dog? My favorite scene was when Dr. Henry Metzger (the cat) showed that he was the "alpha cat" and tamed the 200 pound dog. Michael Kramer brings the story to life, giving each character and voice a unique flavor. Why didn't someone tell me about this book before? I loved this book. Laugh out loud characters, plot, and great, funny lines. This is one to listen to again in a year or so, I'm sure it will make me laugh each time. Set around 1980, Metzger’s Dog combines government secrets, ambitious ex soldiers, and a bit of academia to rouse us with humor and suspense. Poor dialogue, too much foul language, dull story...I was very disappointed in this book, I didn't even continue with it. This is the first Perry book that is a return for me. Tongue in cheek and fun! The foibles of our government come through in spades,,,and narrator picks up with the "dead pan" performance. Woof Woof!